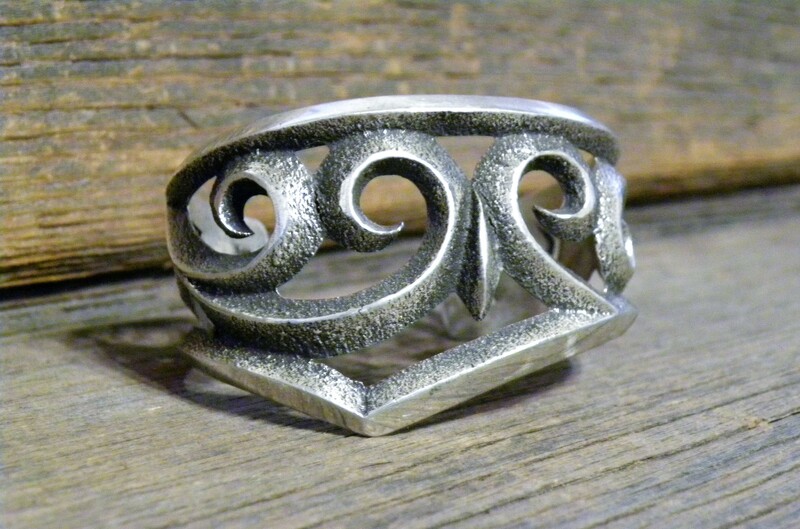 Navajo Handmade By " Aaron Anderson "
Tufa casting is a delicate art. Molds typically only last one, or two casting. Then they are no longer usable. The texture of the tufa stone leaves its distinctive texture on the finished piece, resulting in a sandstone-like texture. As the piece is finished, it is often refined with filing and polishing, further shaping, as well as stone or inlay embellishments. Tufa cast pieces are one-of-a-kind works of art that can never be replicated.